As we start our annual countdown to turkey day, I'd like to kick things off with a fresh turkey from craigslist -- yup, a genuine feathered foul that is fresh from the fryer. 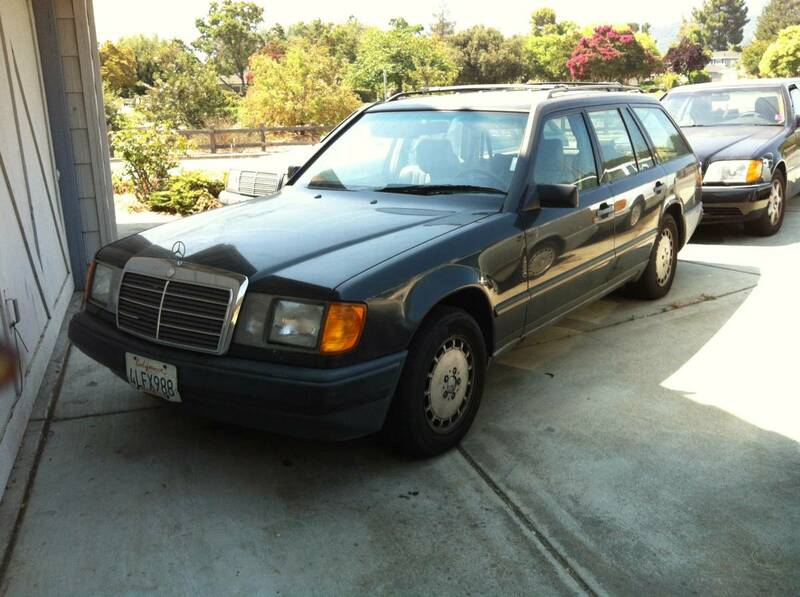 Find this 1987 Mercedes 300TD wagon offered for $5,500 in San Jose, CA via craigslist. The vale of the car is in the new transmission and Injection pump rebuilds. They add up to almost $4k. The clearcoat is gone on the hood, roof and upper side along the door jambs. I think they could be expertly done by a body shop for About $1k. Body is straight otherwise except for the scratch on the passenger side. I have 2 front door panels and driver seat that will be installed prior to sale. Charcoal exterior with gray interior. Partially restored. Has the rear facing 3rd seat. All windows, sunroof and hatch door closer works. Only thing not working is AC, possibly needs R12 charge. California car since new , zero rust. Lots of work done prior to my ownership including new transmission, brakes, tires, alternator, battery. Records going back to 1987. 1. New Bosch blower motor and regulator. 2. New Lemforder motor mounts for left and right sides. New Mercedes transmission mount. 3. Used front door panels to replace worn originals. 4. Driver side rear jacking rubber pad. 5. New wiper arms front/back. 6. Will be changing the drive shaft bearing and flex discs in the next few days. 7. Will replace L/R tie rod ends and drag link. 8. Transmission was rebuilt 2014. 9. New tires last year. 10. New brake discs and pads last year. 11. New battery last year. 14. Injection pump rebuilt 2014. 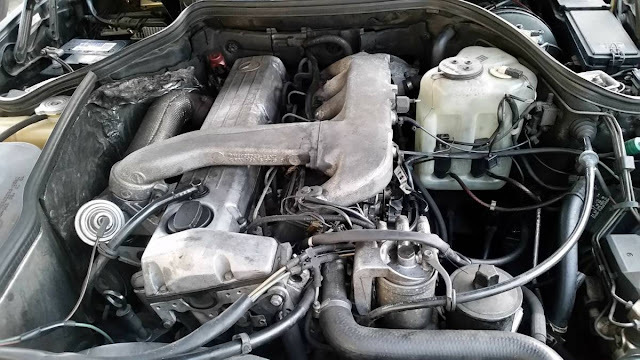 All fluids changed : oil, transmission, coolant, power steering, fuel and auto leveling including filters. These wagons are getting harder to find. Check eBay for price comparison. It bugs me when people talk about "how pregnant" someone is. My response is that pregnancy is a binary condition. You either are, or aren't. The AC in thee are known to be problematic. Needs more than a recharge. Trust me.. I had one. Great highway cruisers but very maintenence intensive. "These wagons are getting harder to find"... but not at the wrecking yard! Thank god, they've almost all been sent to recycle heaven! So for an old geezer such as myself who remembers when MBZ made the w114 and w123 that were suitable for taxi use and would go 400,000 miles without any fuss except for that stupid vacuum system, what’s the most recent over engineered mbz taxi? Or do I have to get a land cruiser? Hugh- most any w124 diesel fits the bill. It is a shame we never got the OM605 4 valve 5 cylinder diesel that came in the W202 in Europe.